Well . . . the time has come to move back to NJ to be with family. This home has been lovingly cared for by the same owners for over 20 years. Numerous improvements over the years including all hurricane impact doors and windows, making the home super quiet and safe. A new hurricane garage door was also installed to lower your wind insurance -- NO FLOOD INSURANCE REQUIRED and assessments PAID. A new HVAC system was just installed in 2016. Both bathrooms have been beautifully updated with lots of tile and seamless shower doors. Nice solid wood kitchen cabinets and drawers with beautiful granite on top. The huge lanai is completely pavered with lots of room for entertaining. 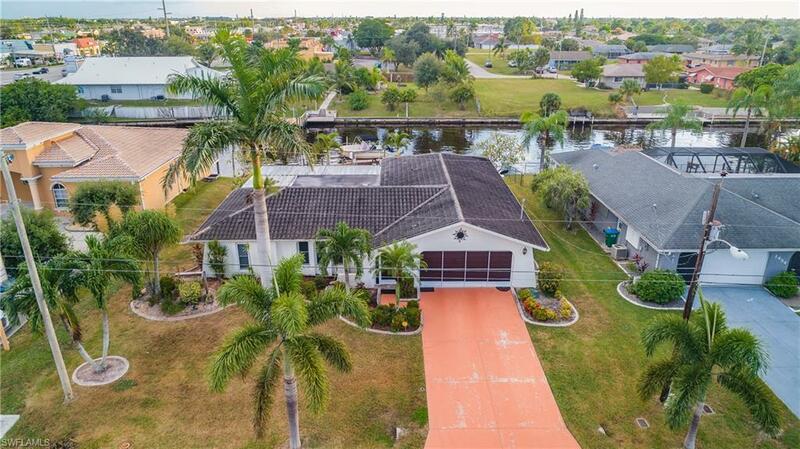 Boat dock and lift for a quick exit under Del Prado and then 2 turns to the Chantrey Canal and Rosen park and then you are in the river and on to the Gulf of Mexico.